National Cat Centre01825 741330work Animal SanctuaryA visit to the National Cat Centre, set in delightful woodland, is a memorable experience for all the family and entry is completely free! 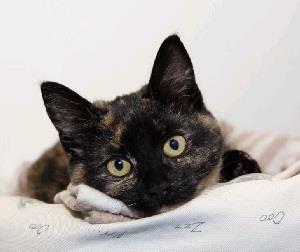 Come and meet the gorgeous cats and kittens looking for loving new homes at our adoption centre. Shop in our unique gift shop, relax in the café with free WiFi. A visit to the National Cat Centre, set in delightful woodland, is a memorable experience for all the family and entry is completely free! Come and meet the gorgeous cats and kittens looking for loving new homes at our adoption centre. Free entry, free parking, disabled access and picnic area. Daily 10am - 4pm. Adoption centre open late on Fridays until 6pm. Closed Christmas Day, Boxing Day and New Years Day. Important: If using SatNav please input this postcode RH17 7DE. Travelling up the A275 northbound past Danehill, you enter Chelwood Gate village. Immediately after the Red Lion pub and BMW garage, take the next right hand turn (look for brown signs and road markings for cars turning right). Drive slowly down the lane, observing the 10 mph speed limit, until you reach the National Cat Centre. This is a new road so is not yet marked on any maps and does not yet have a name. Travelling down the A275 southbound from Wych Cross, you will drive approximately one mile of straight road to Chelwood Gate and then take a left turn (look out for "New Road Layout" signs and a central waiting island for cars arriving from the south). The turning is just before the BMW garage on the left hand side. Drive slowly down the lane, observing the 10 mph speed limit, until you reach the National Cat Centre. This is a new road so is not yet marked on any maps and does not yet have a name. Please note that the entrance is not obvious from the road and comes upon you quickly. You will need to drive slowly in order not to miss it!